The Chesapeake Bay Retriever is a well-rounded sporting dog on land or in water. Known for its assertive nature and general toughness, the “Chessie” makes an incredible hunting dog and loyal companion. The history of this breed is traced to an 1807 shipwreck off the coast Maryland. Two St. Johns Water Dogs, also known as Lesser Newfoundland, were rescued from the accident and made their homes with people in the bay area. The dogs, one male, one female, had numerous litters with other breeds which eventually led to three different classes of “Ducking Dogs”. In 1878, the Chesapeake Bay Retriever was recognized by the American Kennel Club. The Chesapeake Bay Retriever is one of 56 known canine breeds to originate in the United States. Because of the history linking this breed with the “Old Line State” of Maryland, the state adopted this breed as its State Dog in 1968. A Chesapeake Bay Retriever is a generally friendly dog that is extremely loyal to its family. Early socialization with other pets and people is important with this breed as they are very strong-willed, but usually they are pretty passive and trusting with strangers. Some of the members of this breed are known to “grin” showing their front teeth. This is actually a sign of happy submissiveness as opposed to aggression. A Chesapeake Bay Retriever is not a breed meant to live in an apartment or condo. They have a lot of energy, so they need room to run. They seem to prefer not to spend a lot of time alone, and if they become bored, much like the Labrador Retriever, they can become destructive. Their dense double coat allows them to tolerate cold weather better than many breeds. This dog is well suited to hunt or live in basically any climate, but be careful with extreme heat. While the Chessie is a generally healthy breed, it can have some genetic disorders appear if not properly screened. Some of the most common health concerns in this breed are Hip Dysplasia, Von Willebrand disease, and Retinal Atrophy. This is a hunting breed through and through, so they possess great stamina and athleticism. While at times the Chesapeake Bay Retriever’s hunting ability can cause them to be overzealous, consistent training will help curb this. Giving them something to do, like field activities or dock diving, can make them an extremely well balanced and exceptional dog. Novice owners can fair well with this breed if they are consistent. For owners who do not have a lot of experience training canines, you and your Chesapeake Bay Retriever may want to attend obedience classes together, as this also helps you bond with your puppy! The coat of The Chesapeake Bay Retriever is meant to allow this breed to endure cold temperatures and be able to retrieve fowl from frigid water. Because of this fact, they will shed quite a bit. Brushing these dogs will help to control some of the loose fur floating around, and it will make your dog happy! You should trim this breed’s nails once per month, and brushing his teeth will help keep away tooth decay and gum disease. This breed loves to run and play! They have a high energy level and will be willing to play for hours on end if you will. They are playful, jovial dogs and will love a good game of fetch or a morning jog. 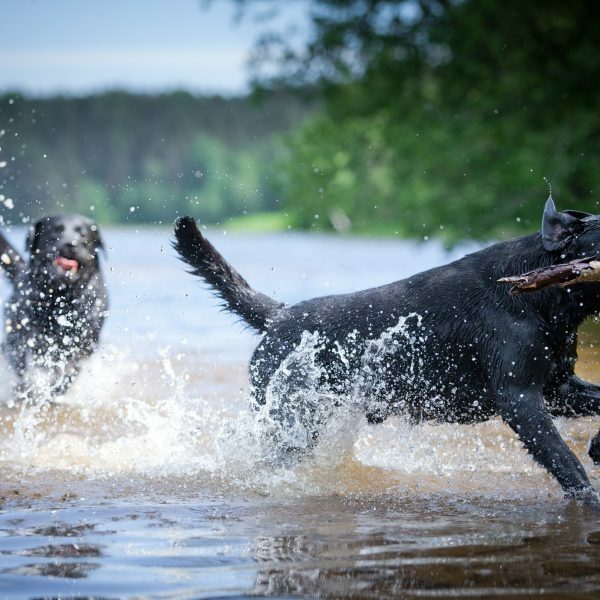 If you get near the water, be prepared for your Chesapeake Bay Retriever to take a dip, as there are few breeds who love the water more than this one. The average Chesapeake Bay Retriever will weigh 50-80 pounds and stand 20 to 28 inches tall at the withers. The Chessie is the official dog of Maryland; it was declared as such in 1964. Also, Chesapeake Bay Retrievers have been owned by General Custer, President Theodore Roosevelt, and other notable figures. 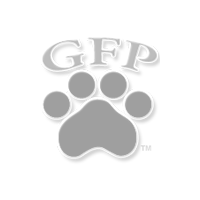 Welcome to Greenfield Puppies Chesapeake Bay Retriever page! The Chesapeake Bay Retriever is a well rounded hunting breed recognized as a member of the AKC sporting class since 1878. Serving well as a family dog or a dog used purely for hunting and sport, this tough and strong retriever is one of the most accomplished breeds for Duck hunters.